At the flagship branch of the Bank of Hawaii, dynamic images feature the local sights and culture of the eight Hawaiian islands. Images such as tropical fish swimming along a vibrant coral reed, a breathtaking view of a rainforest or a bustling Waikiki Beach can be seen from the street. Together, these images welcome visitors to the bank before they stop foot through the door. 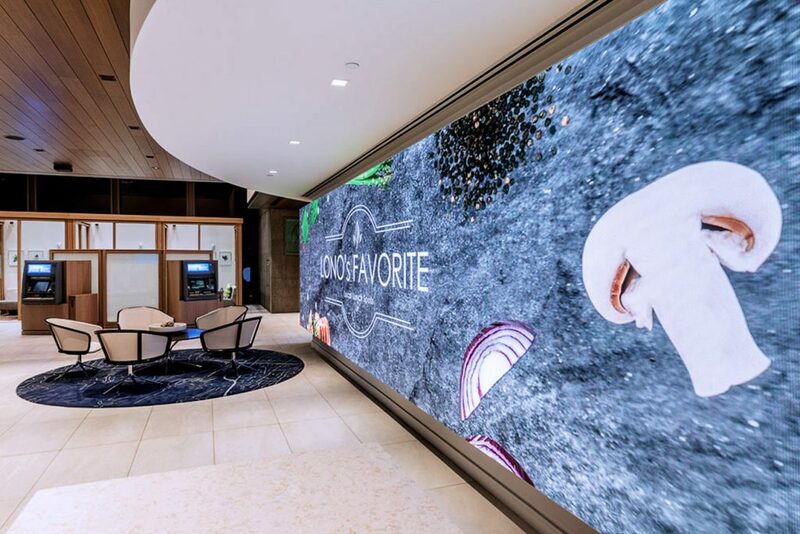 As part of their “Branch of Tomorrow” initiative to enhance the guest experience and update the bank’s appearance and products, Bank of Hawaii elected to install a Direct View LED wall as the centerpiece of its Main Branch in downtown Honolulu. “Our goal was not only to modernize the bank’s appearance, but to do something that differentiates us from other local banks. We wanted to create a unique experience for our guests, give them something that will make them stop, and provide that wow factor,” says Joy Ishiara, Senior Vice President & Brand and E-commerce Marketing Manager. Not only do the images help captivate visitors, but throughout the day, people will stand in front of the Direct View LED wall and watch the breathtaking imagery through the full rotation. 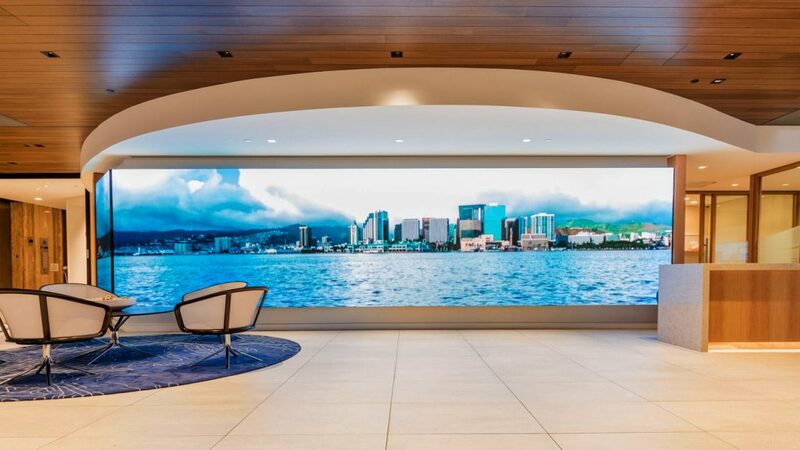 The video wall does more than showcase Hawaii’s natural beauty, though; it gives the bank a unique way to say thank you to their business clients. Through their Manager’s Favorite video series, branch managers are able to share their favorite things, like restaurants and dishes. The program is a big hit with local businesses. “Overall, we have received tremendous feedback about the digital screen, which can be seen from the street. It gives us a great opportunity to capture the attention of our guests, maximize our engagement with them and create a memorable experience,” says Ishiara.